Today’s post is all about hair and a particular hair product that I use. The product even begins with ‘H’ as well! 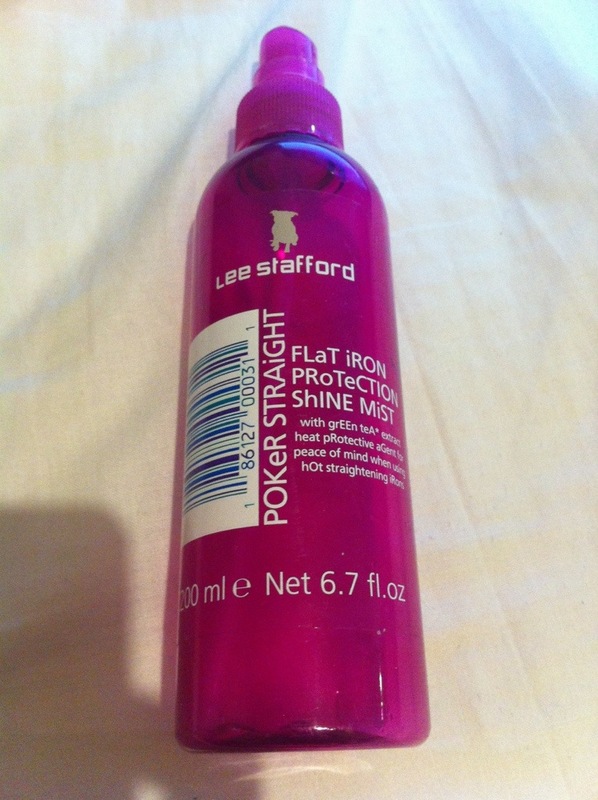 It is the Lee Stafford Poker Straight Flat Iron Protection Shine Mist! You can see from the picture below that the product has now been all used up which is of course a good thing. Admittedly I was never a one for heat protection on my hair but a lecture from my sister made me change my mind. I have cut down on using the GHD in general anyway but every bit of protection for my flowing locks helps. This fact makes the total outcome of the product harder to judge. However, during the times that I do straighten my hair, I can definitely say that my hair has begun to crack less. Likewise when I just use a hairdryer (something which I have been trying to cut back on also. It smells great. I have seen people comment otherwise on this though so I guess that statement is down to personal preference. Does my hair become get-out-your-sunglasses shiny when I use it. To be honest I can’t tell the difference. My hair is too dull and lifeless at the moment to claim such a thing. But, I have noticed that my hair stays straighter for significantly longer which is a God send for somebody with frizzy hair. I would recommend this product but be aware that I have never had a full use of another heat protection spray. Nevertheless, I probably would repurchase this as there are some areas in beauty where the more expensive products (this retails at approximately €10) are worth it. Hair protection is certainly one.